Inhibits or eliminates condensation. Nontoxic/noncarcinogenic. Does not require protective clothing, goggles, or respirator. 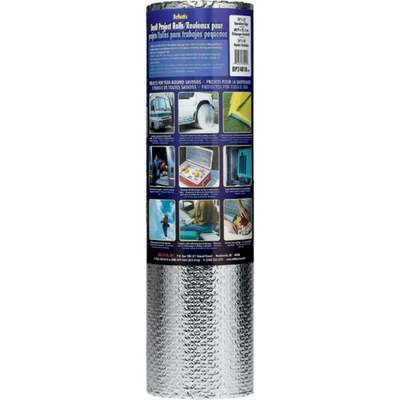 Ideal for basement walls, crawl spaces, or attic. Has R-16.8 value for crawl space applications and R-6.13 value for basement walls. Resistant to mold, mildew, and fungi. Excellent for use with livestock and/or produce. Class A/Class 1 fire rated. 5/16" thick.